BOSS Workouts™ have been meticulously designed by elite industry experts with over 100 years of combined experience and real world fitness knowloedge. Boss Workouts was created with one simple thing in mind: giving you everything you need to reshape your entire physique and change your life. Permanently. You have access to professional athlete level training and nutrition plans from the best in the business. Personal trainers don't come cheap, and by choosing Boss Workouts you are getting elite level trainers for a fraction of the cost without any compromise. Check out the trainers now. "Boss Workouts is the culmination of 1000s of hours of study and research. I know that using it, you can achieve your dream physique." Having successfully proven his abilities as a personal trainer, Lee went on to become the ‘personal trainer of personal trainers’ - now teaching at Universities in the United Kingdom and writing for countless high profile brands, websites and peer-reviewed scientific journals. He’s spent 8 years teaching and assessing a wide range of fitness-related qualifications. Such as personal trainer courses, gym instructor courses and PHD level exercise & nutrition modules. Regularly delivering successful courses in internationally renowned universities, Lee is often invited back to deliver guest talks at their high profile events. Delivering talks on everything and anything to do with human physiology, from power and performance training to gait optimization in spinal injuries. Lee has also worked for two global fitness equipment suppliers, delivering master trainer workshops overseas. He’s also sat on advisory boards helping to develop fitness facilities and training methods. If there was one person who qualifies to get you shape, it’s Lee Bell. Lee has spearheaded are large amount of BOSS Workouts, sourcing information, studies and techniques from high profile scientists to deliver the most effective workout program possible. "Do what I tell you in BOSS, and you’re going to be blown away with what you can achieve." He’s mentored thousands of clients – from professional athletes, to weekend warriors wanting to get fit, and stay fit. He began as a competitive athlete in football, baseball, short-distance sprinting competitions, and triathlons. Later on, he took a keen interest in nutrition and helping others achieve their fitness goals. Now, he’s here to pass on his knowledge to help you go beyond your fitness goals with Boss Workouts. 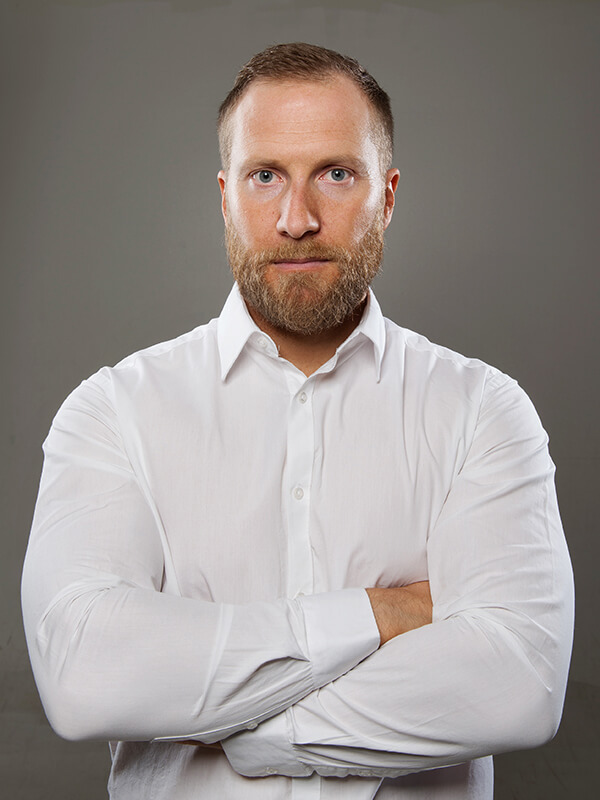 With over 10 years of experience in all areas of fitness - it’s safe to say Jason is an all-round expert. We are privileged to have Jason on the Boss Workouts team. Jason will be your guide and mentor throughout some of Boss Workouts programs. If you listen to what he says, you’ll make permanent life enhancing changes to your physique. For good. "It's time to build that booty, shape a stronger, more athletic silhouette and best of all; sculpt a lean and mean waistline"
Niki Zager is a leading fitness model and competitor with several titles under her belt and a year round shapely and strong physique. Niki is a highly established presence within the fitness industry and offers unparalleled advice and motivation for women all over the world looking to shape their dream bodies. After being diagnosed with a hip disorder as a young girl, doctors told Niki she’d never walk again. But Niki defied the odds and developed into the world class athlete who will be taking you through your Boss Workouts program. Niki’s drive, experience, and working knowledge surrounding everything to do with professional bikini competition will give you the ultimate edge when it comes to changing your physique. "Rediscover your strength, athleticism and muscle mass. Let's build up your energy levels and stamina... and reclaim peak performance." Darrin has been a professional trainer for over 3 decades. Originally giving up his corporate job to build the career of his dreams as a personal trainer, he was an easy choice to head up Boss Prime. As a highly prestigious personal trainer, Darrin has trained men and women from complete novices, right through to professional careers with the IFBB - International Federation of Bodybuilding and Fitness. This is no easy task, but Darrin has constantly excelled at it, with numerous clients reaching their goals and winning their Pro Bodybuilding Cards. Darrin understands the need to adapt according to your age without ever losing sight of that dominant and strong physique. Ensuring he stays in great shape, despite being well into his 50s, Darrin has more than proved himself worthy of leading you back to your Prime with Boss Workouts. We were extremely lucky to work with Darrin on Boss Workouts. His accomplished career and polished training methods are the best in the industry.